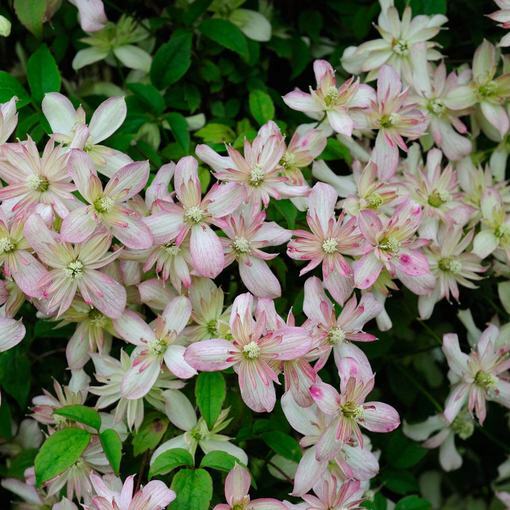 Clematis Marjorie is the world's first double flowering Clematis Montana, known as the 'Mile a Minute' Clematis. Like other Montana varieties, it will cover any fence, wall or unsightly object at an amazing rate but with amazing double flowers. 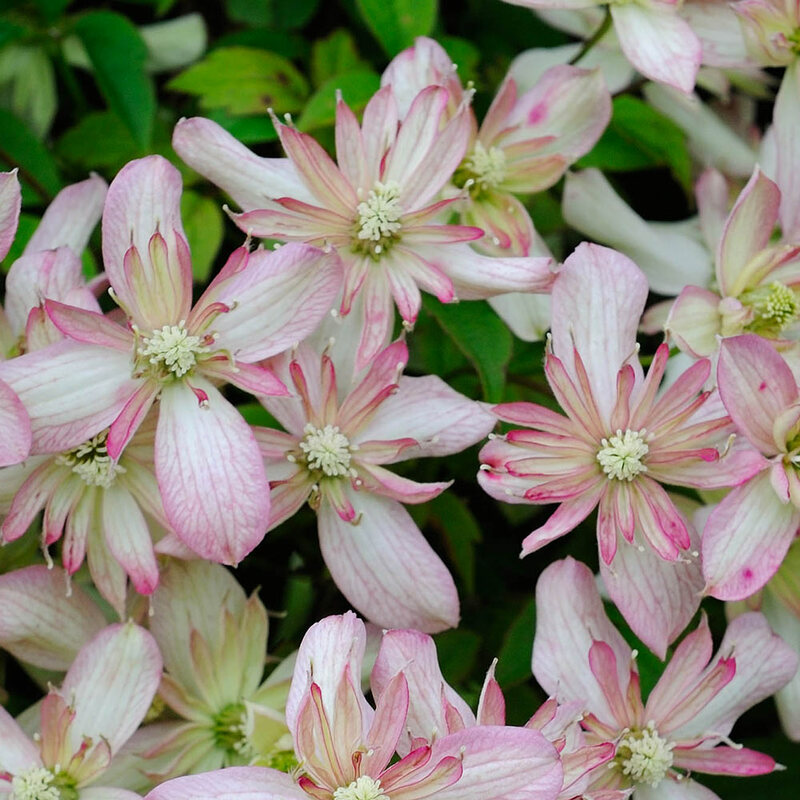 A great colourful alternative to the usual hedging plants, magnificent flowers smother the Clematis in late spring and a glossy green foliage lasts until November. Remember to support the plant well as it grows as the foliage can get very dense. 30-40cm plants supplied in a 9cm pot.